With lots of online tools and services you use on daily basis require you to login before being able to use, a password manager tool can be good savior if don’t have a good enough memory. If you use Windows 10, there are a bunch of options of password manager tools you can opt to. A password manager helps you to manage the passwords as well as usernames you use on websites you use on daily basis. A password manager is particularly helpful if you often use different passwords on different websites or apps you have registered to. Some password managers come with a one-click login feature that allows you to instantly login to websites you frequently use without manually typing your username and password. Most modern web browsers like Firefox and Chrome are actually already feature a built-in password manager, but compared to a specialized password manager tool, the features offered by a built-in password manager of web browsers like Chrome and Firefox are much fewer. Password is a very sensitive information so letting other party to know it — and even save it — might is not too good idea. On the other hand, a password manager can be pretty handy if you have to create lots of accounts on different websites because you need them. Using a password manager meaning that you will only have to memorize a single password (the master password). The rest is the password managers’ job to remember your passwords. A password manager with a one-click login feature is more suggested if you plan to use a password manager. This feature allows you get focused on the things you have to do rather than wasting time upfront dealing with passwords. 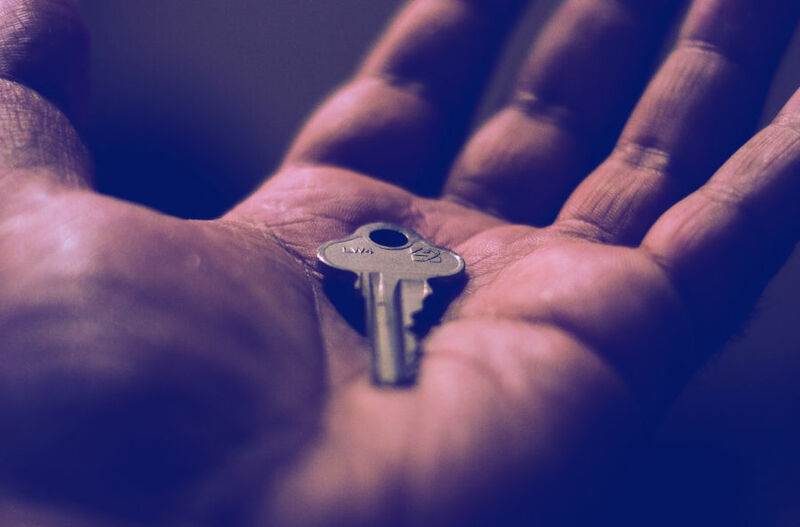 If you use Windows 10 and decided to use a password manager to make your life easier, following are 7 of the recommended password manager tools you can try. Dashlane is a freemium password manager. Meaning that you can use it for free although with fewer features and capabilities compared to premium version. Dashlane itself is a cross-platform password manager. In addition to Windows 10, it is also available for Mac, Linux, iOS and Android. The free version of Dashlane allows you to save up to 50 passwords, but you can only access your password on the device where you install it since free version doesn’t offer a sync feature. The main feature offered by Dashlane are password storage and autofill. In addition, Dashlane also offers a password generator. You can also create an encrypted note with this tool. LastPass is one of the most well-known password manager tools. It is also available for several platforms instead of specifically for Windows 10. LastPass can be a good tool if you have to login to different websites every single day. Using this tool, you don’t have to manually type your usernames and passwords on the websites you want to use. LastPass comes with lots of features apart from its major features. You can use LastPass to store nearly all kinds of digital records. From insurance cards, memberships, Wi-Fi passwords and so on. LastPass itself also adopts a freemium business model. Compared to Dashlane and LastPass above, KeePass comes with fewer features. It will also take you a while to learn how to us this tool. The interface of KeePass isn’t as fancy as two first tools above. 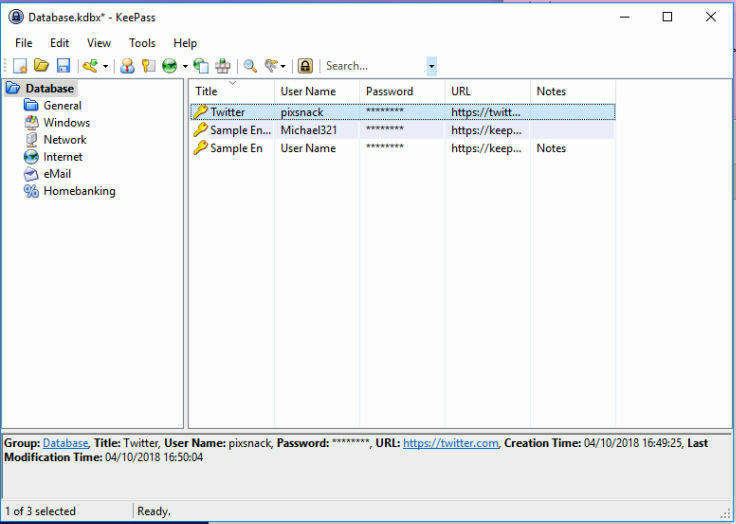 The advantages of KeePass is that it is completely free to use. Furthermore, KeePass is also released as an open source software. KeePass offers plugins to enhance its functionalities. Roboform has the same major purpose as LastPass and Dashlane, to help you manage your logins. With Roboform, you don’t need remember every single password on the online tools and services you use on your daily basis. You won’t also need to manually type them thanks to the one-click login feature offered by Roboform. 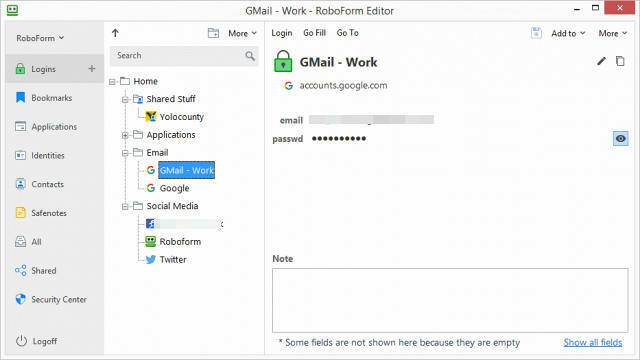 Roboform itself is also a cross-platform password manager. Apart from Windows 10, Roboform is also available for Mac, Android and iOS. Roboform adopts a freemium business model with free version allows you to save as many logins as you want. But, you can only access your password via the Roboform app on the device where you install it since sync feature is only available for the premium version. 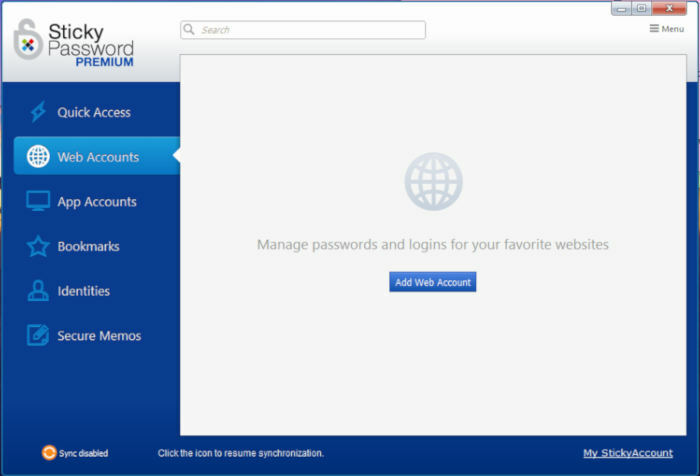 Roboform allows you to categorize the saved passwords in easy-to-manage folders. You can also pin your favorite logins for instant access. Sticky Password is also a freemium password manager that will help you manage your logins. You can effortlessly login to frequently-used tools and services that require you to login before using. On the first use of Sticky Password, you will be asked to integrate this tool with your main web browser. An account is required before being able to use this tool. This account is used to sync your passwords with the cloud so you can access your passwords from other devices. But, you need to upgrade to premium to use the sync feature offered by Sticky Password. 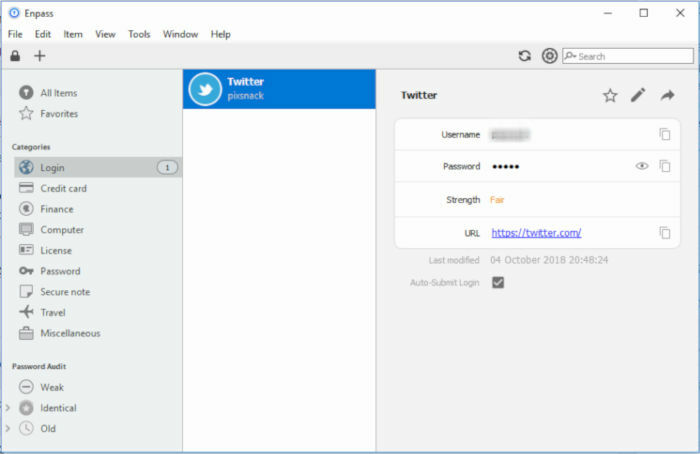 In addition to Windows 10, Sticky Password is also available for Mac, Android and iOS. Unlike Dashlane and Sticky Password, Enpass doesn’t ask you to make an integration with web browser upon setup. It is because this password manager tool doesn’t offer a single-click login feature like Dashlane and Sticky Password. Enpass itself a versatile data storage tool. In addition to password, you can also save other digital records like credit card, bank accounts, software licenses, FTP logins and so on. This tool also offers a password generator to help you create a secure password. 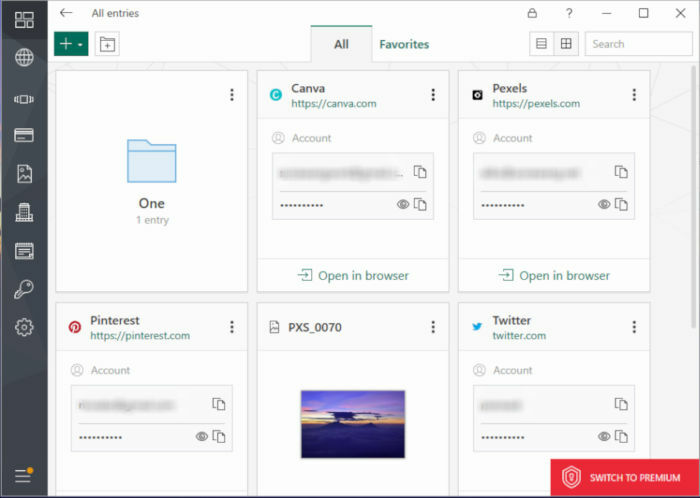 Enpass itself is a cross-platform password manager. In addition to Windows 10, it is also available for Mac, Linux, Android and iOS. Its sync feature makes it possible for you to access your passwords and other information you stored on Enpass across devices. The Enpass app for Windows 10 is distributed via Microsoft Store. Kaspersky Password Manager is the password manager I personally use. It allows you to instantly login to websites you use on your daily basis thanks to its one-click login feature. Kaspersky Password Manager helps you to save the logins you use on frequently-used websites. If you have some installed applications on your Windows 10 that require you to login before using, you can also ask Kaspersky Password Manager to save the logins so you don’t have to manually type the username and password every time you want to use the apps. 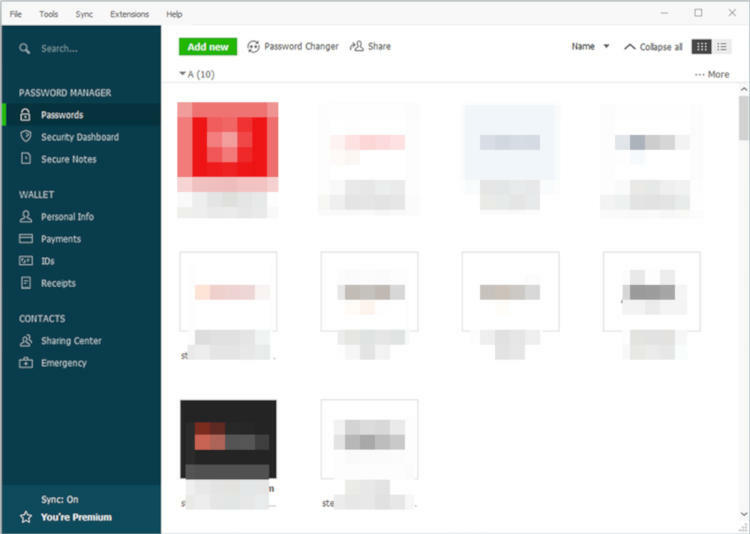 Kaspersky Password Manager allows you to manage the entries in folders. You can also active the sync feature if you want. This feature allows you to access your passwords across-devices. In addition to Windows 10, Kaspersky Password Manager is also available for Mac, Android and iOS. Kaspersky Password Manager itself also adopts freemium business model with free version is restricted to 15 entries.